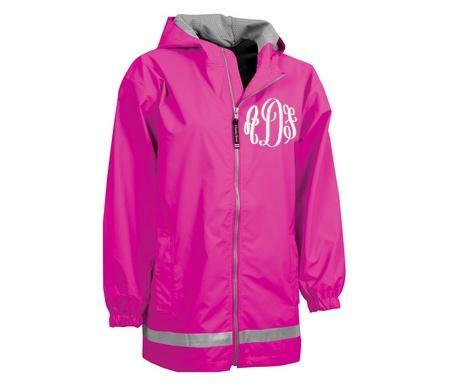 Monogrammed Rain jackets for the Kids just like Mom! 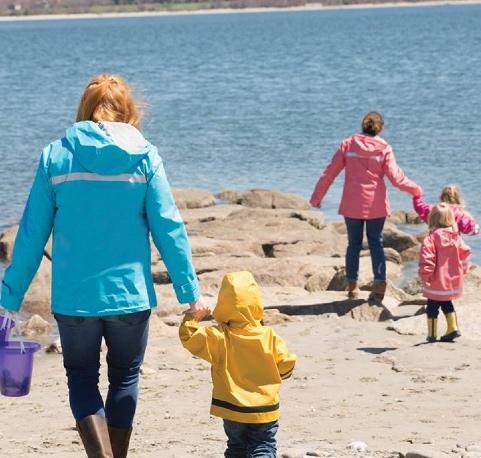 Cute rain jackets for 2t to 7 kids sizes. Bright yellow or hot pink! Our hot pink is trimmed in a grey color that is reflective and the yellow has a black trim. Please allow a few weeks for shipping since we sometimes have back orders on these jackets from our warehouse. Wind & waterproof New Englander Polyurethane bonded to a woven backing to provide additional fabric strength. Lined with mesh for air-flow circulation and taffeta nylon in sleeves for easy on/off. Elastic gathering at the hood. Heat-sealed seams throughout to seal wind & rain out. Covered zippered side pockets & elasticized cuffs. Note that in the 2T and the 3T we do not carry the navy. Price: $48.00 In stock! - Browse this brand: The Pink MonogramOur products are custom made to your specifications. This product ships up to 2 weeks after your order is placed. 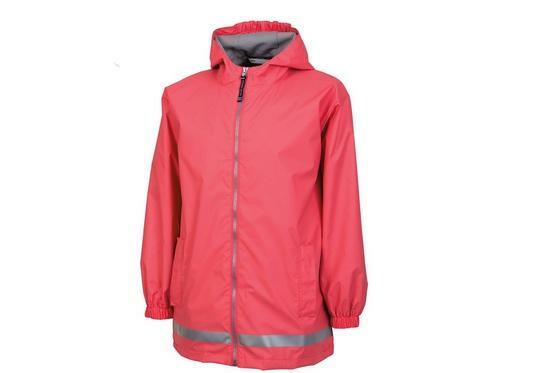 Choose your color rain jacket- Toddler size 2 and 3 are not made in navy.